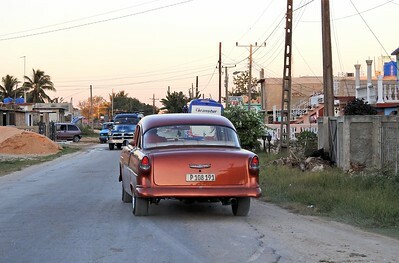 Tens of thousands of vintage American cars remain scattered throughout the country, manufactured before the revolution and subsequent US embargo in 1960. 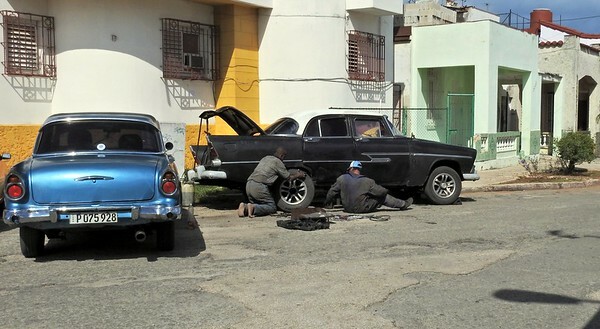 The cars are a testament to the ingenious, creative, and skilled mechanics and owners who have kept these cars on the road. 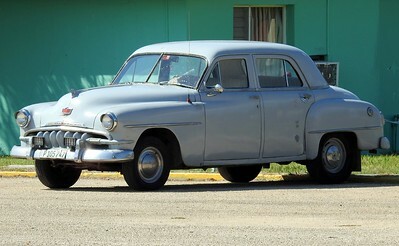 The cars are not stored away in climate controlled buildings - they are daily drivers. 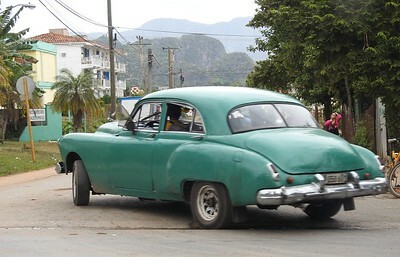 Many of them are registered taxis. 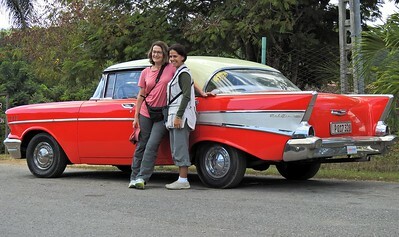 They are the "energizer bunny" of cars! 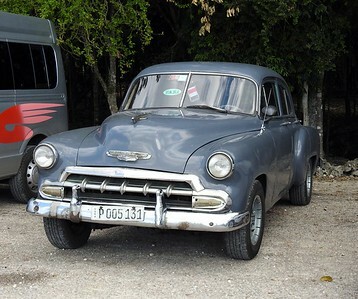 Many of the cars have been owned by a family going back several generations. 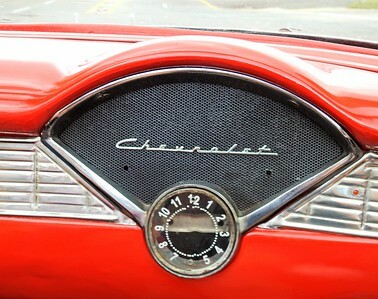 A real source of family pride. 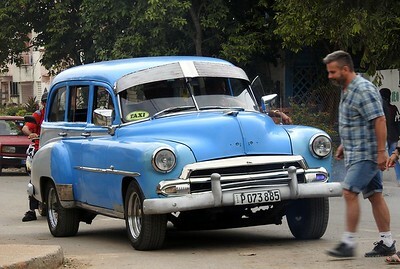 Cuba's color-coding of license plates goes back decades and is another way authorities have kept tabs on people, their vehicles and the cargo they carry, as the the government owns most cars and determines who can drive, when, where and for how long. 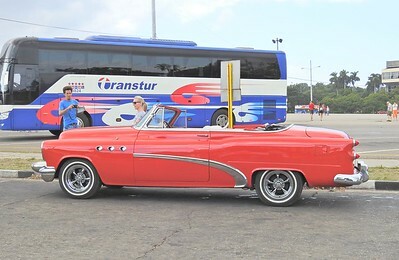 This one was at a tourist rest stop. 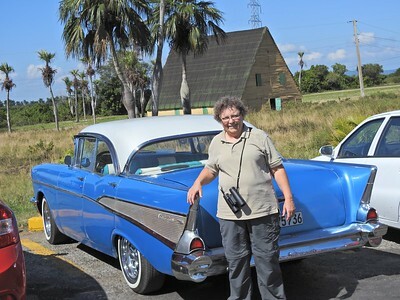 In the background is a tobacco drying barn. 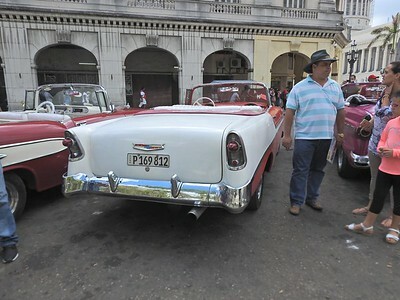 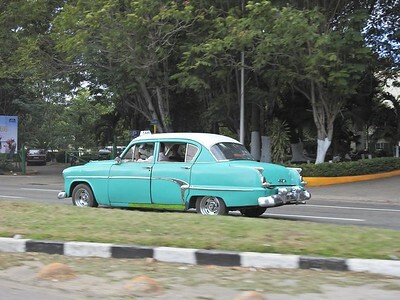 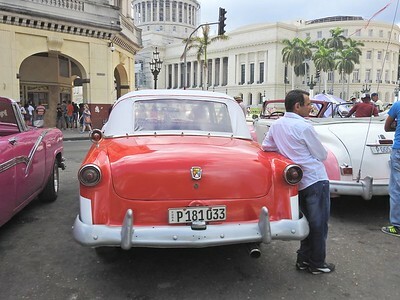 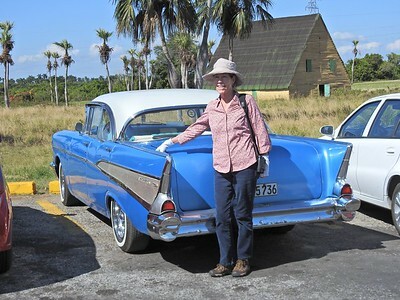 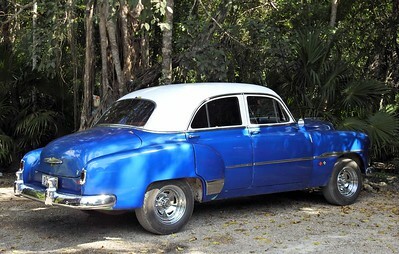 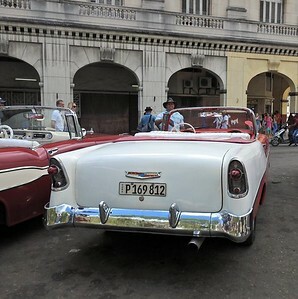 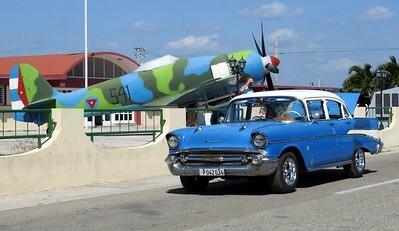 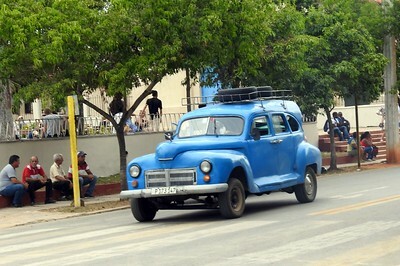 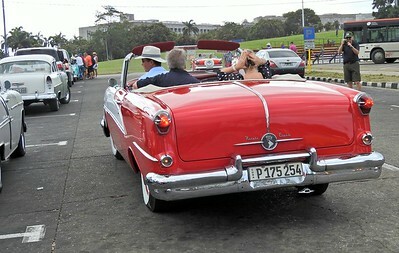 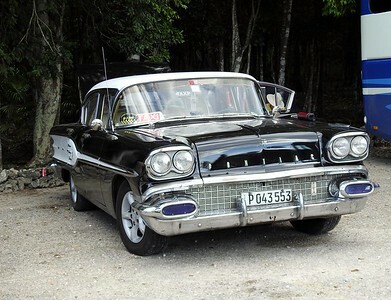 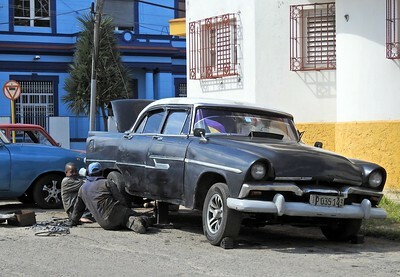 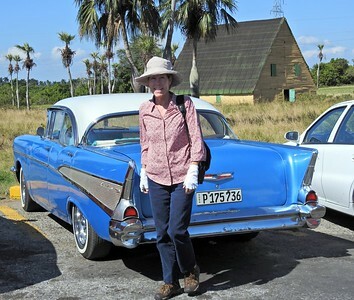 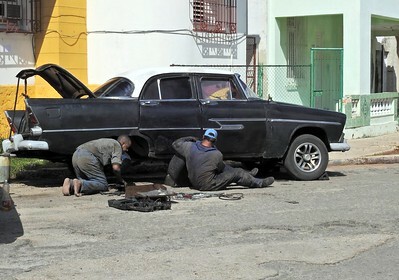 This is the one we chose for our Havana driving tour - a 56 Chevy.